Growing up Halloween never seemed like a big deal. That said, it was worth kicking up a fuss to be allowed out trick or treating, simply for the windfall of sweets we’d come home with. With three children to look after, it’s hardly surprising Mum regularly forgot Halloween. She was all over World Book Day (or whatever it was called back then) but this spook worshipping, she was not. One year, I can remember heading out as witches. Each of us were wearing a black bag that she’d cut three holes into for our arms and head. If it wasn’t for the noise the rustling plastic made, I’d say it was quite a genius idea (Although one I’d have to advise against on safety grounds!). When Tom and I moved into our house twelve years ago Halloween became an opportunity for us to get our mates over for a fancy dress party. We’d hang up skeletons, cobwebs and anything else we could find in our local shop and stock up on the sweets, treats and booze. We loved the excuse to dress up and all be silly. Our take on Halloween has changed again since having children. It’s given us another opportunity to get creative together and have a bit of fun because, let’s face it, most of us need a little bit of inspiration when it comes to getting creative with the arts and crafts. Plus, our boys (like most children), love dressing up and getting into character. So, each year we throw a little party – even if it’s just us. We bake biscuits decorated with spiders or dinosaurs, get on some face paint and go out to spook the grandparents. I mean, it’s not always idyllic (it never is). One year, while Buzz was having a longer nap than usual, I decided to get my facepaint sorted while I waited. 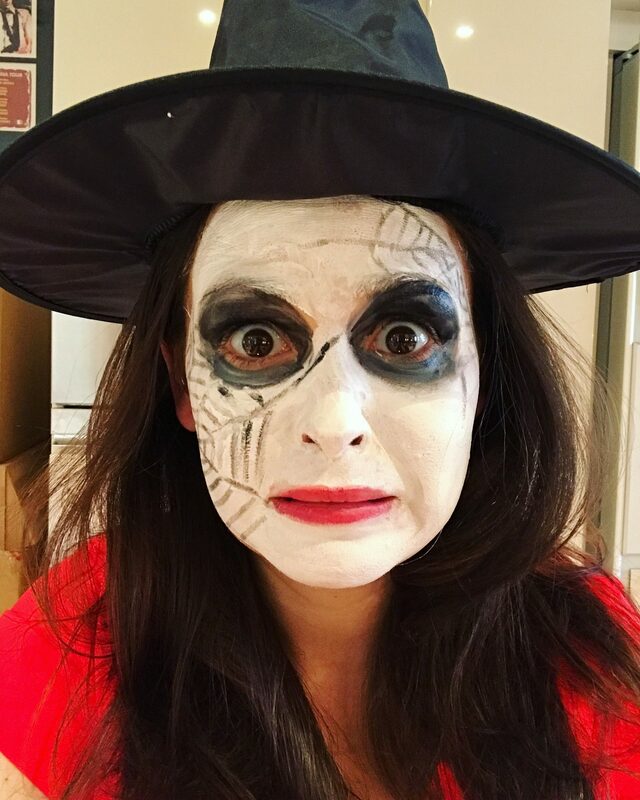 I was excited for the fun to begin, but didn’t think about the shock my Kiss-inspired witch make up would give him. He had a full on meltdown. I felt awful, but, thankfully, 30seconds later he was asking to have his face painted too and getting dressed up himself. Phew! This year we’re ready to experiment with the facepaints again, and NEXT has sent across a few pieces to get us into the eerie spirit. 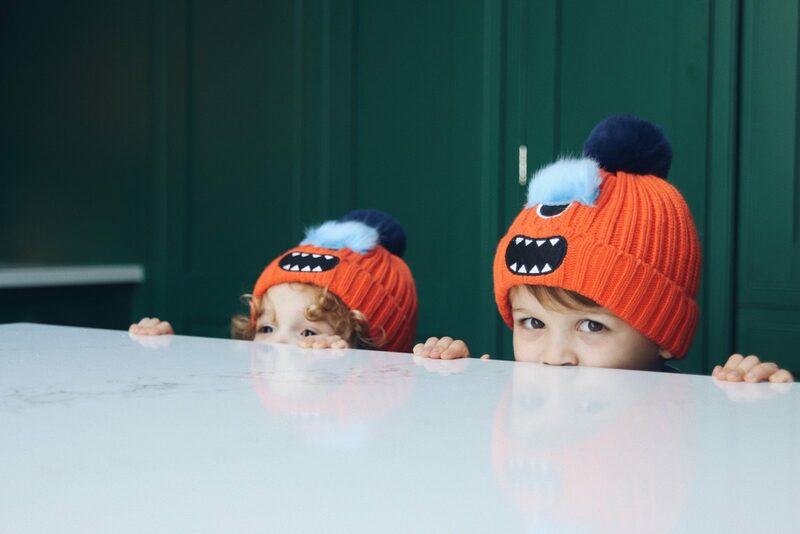 The boys have been sent monster beanies (which they’ve been loving thanks to the temperature drop), and the most gorgeous autumnal candle that looks a good as it smells. 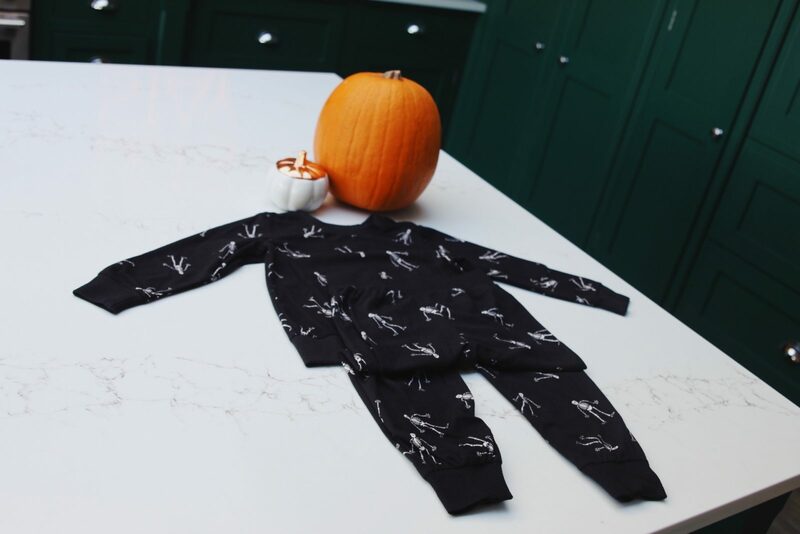 The other thing they sent over for me to look at was a set of pajamas from their Just Like Me range, which allow the whole family to lounge in the same outfit. These are black and decorated with little skeleton prints, but can be worn beyond Halloween. They’re the softest nightwear I’ve ever been in so definitely a nice thing to wear snuggling on the sofa while welcoming in the darker nights. I have to say, I love summer, but there’s something wonderful about moving into the latter part of the year. The emphasis seems to be on coming together and getting cosy. That’s definitely what I need right now. Have fun getting your spook on!